I love that cheese balls are considered a southern thing! It is the perfect thing to bring to any get-together, not too much that it will overshine anything the hostess has prepared and it is an all-around crowd pleaser. I mean who doesn’t love a good cheese ball served with yummy crackers? 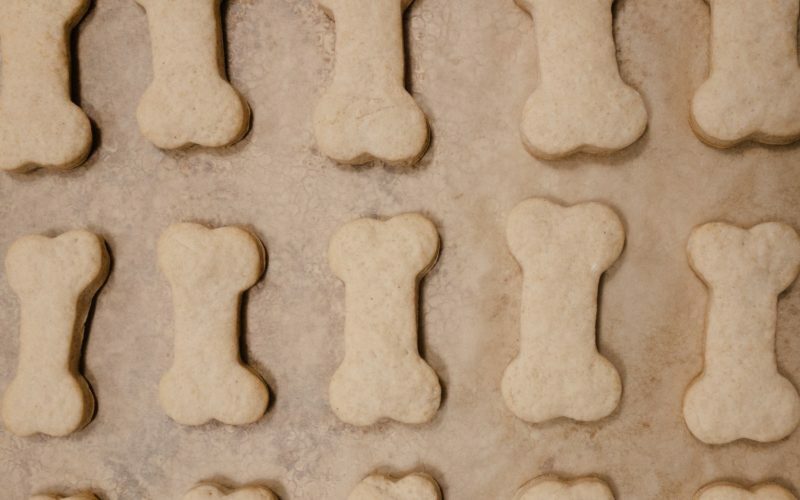 It is definitely a holiday staple for my family. 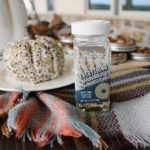 Come to think of it.. this recipe I am sharing with you today is very similar to my Noni’s go to cheese ball. I will have to share it with you guys one day soon! I had several people tag me in a pumpkin shaped cheese ball last Fall so this has been on my list for a while to try out, and my meeting yesterday evening was the perfect opportunity to give it a go. Some of you may be familiar with the Trader Joes ‘Everything but the Bagel Sesame Seaning Blend’, which you can get on Amazon by the way, BUT for all of my small town friends, Walmart sells a blend that is almost exactly the same and half the price. Score! This seasoning blend is kind of addictive. The perfect additive to your avocado toast, eggs, and so much more. 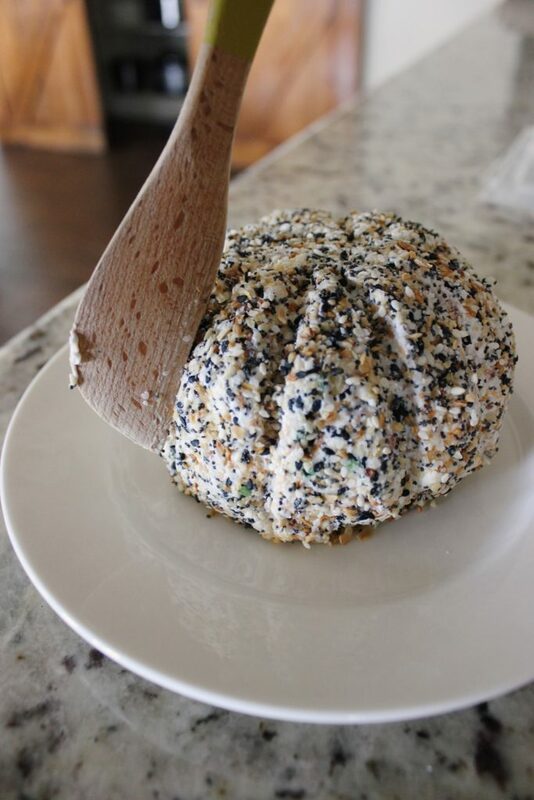 I hope you give this fun pumpkin shaped cheese ball a try for your Thanksgiving! Mix the cream cheese, sour cream, horseradish, cheddar cheese, scallions, and bacon until everything is incorporated. 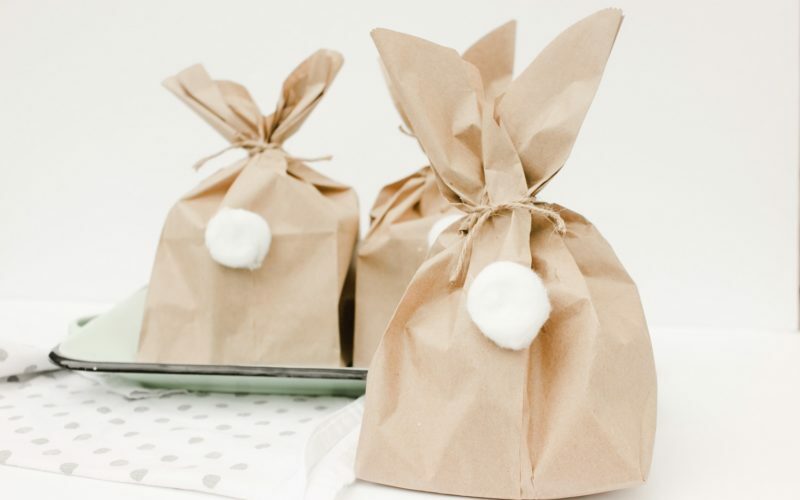 Form the mixture into a ball, wrap in plastic wrap and place into the fridge to chill for atleast an hour. Once the ball is chilled, remove from fridge and unwrap. 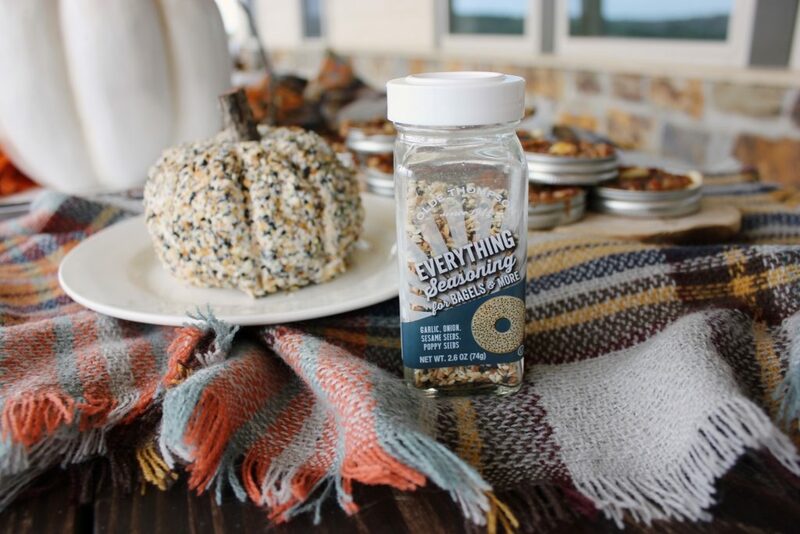 Coat the cheese ball in the 'Everything Seasoning'. When coated completley, take a chop stick or butter knife to create the pumpkin curves. 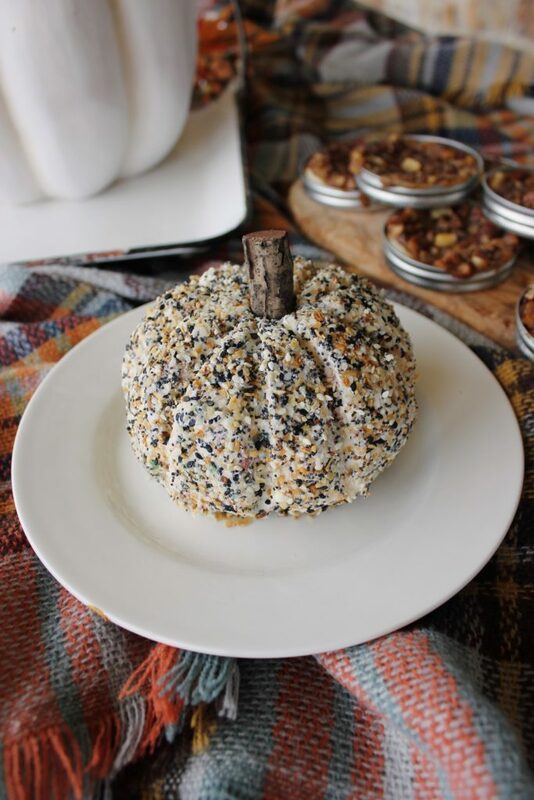 Top the cheese ball off with a faux stem, a real pumpkin stem or just a stick like I did!